A frontline golf development of stunning townhouses offering cutting-edge design and spectacular views. 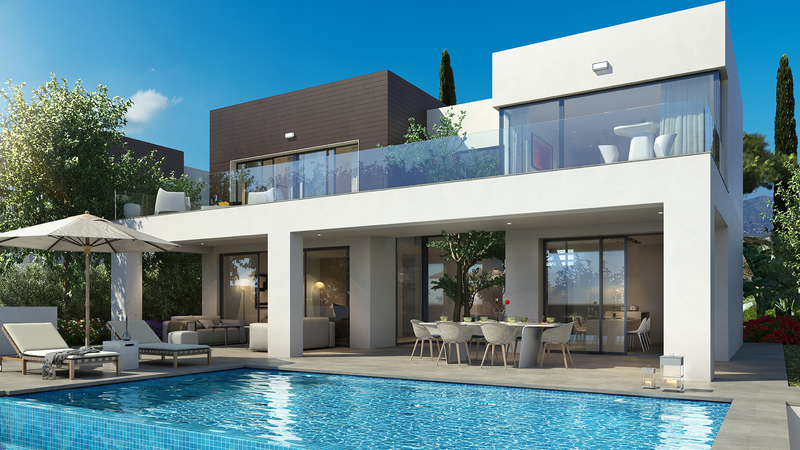 This newly released project is situated within one of the best golf resorts in Spain and boasts three beautifully manicured 18-hole golf courses which are perfectly integrated into the gently sloping natural surroundings. The townhouses feature wide open spaces, uninterrupted views of the gardens and golf course, lots of natural light, a south-facing position and huge floor-to-ceiling windows that enable the accommodation to flow out onto the terraces and gardens. As well as golf, you can also enjoy other outdoor activities such as horse riding, walking and mountain biking. This outstanding development in a highly sought after part of the Costa del Sol being located equidistantly between Marbella and Malaga airport.